I love old homes. There’s something special about a building that’s stood unmoved for century while everything around it changes. It reminds me a lot of strong marriages. Old homes have unique character. The walls usually aren’t square, and the floors roll and dip. But what they lack in precise construction, they make up for in charm. They’re like stepping into a time machine. You can imagine generations of families running up and down the staircase or laughing at the dinner table. If the walls could talk, the stories would be endless. But that rich history would disappear if not for thoughtful caretakers. A home can’t withstand decades of sun, rain, and wind without some attention. Cracks have to be fixed, siding repainted, and the roof kept weather tight. Because if the home deteriorates and is lost, so are the memories connected to the place. Which brings me to marriage. A strong marriage impacts a family for generations. It’s an identity, a sense of belonging in a world full of strangers. But for a marriage to endure, you need thoughtful caretakers. When cracks appear in the relationship or the paint peels, the answer is not to level it and start over. It’s to give it the loving care it deserves to restore it back to health. Because when a marriage ends in divorce, it’s like an old house with all of its history being torn down. 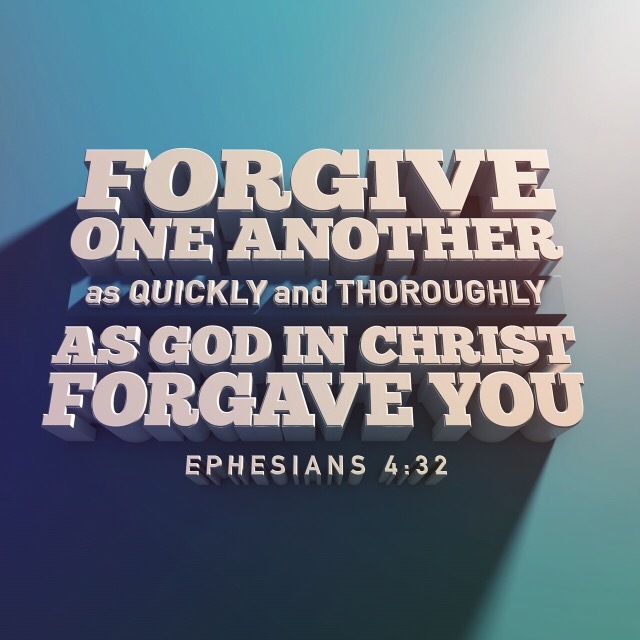 If your relationship is showing signs of wear, apply Paul’s words in Ephesians 4:32 – Kindness, a tender heart, and forgiveness can go a long way to restoring a marriage.